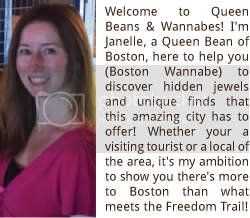 Queen Beans and Wannabes: Boston Strong, Boston Party! After the tragic events that occurred on Marathon Monday, I wanted so much to help out as much as possible. At work, we had a special “Jeans for a Cause” event, where we could wear jeans to work and money would be donated to The One Fund; I went to the Urban Art Bar Charity Event to paint the Marathon Finish Line, and I dined at some of the restaurants along the Back Bay area. So when I heard about a Boston Strong Party for OneFund Party via Twitter, I knew I had to be there. The event was to be held on a Wednesday night at Cafeteria Boston with all the proceeds to go to The One Fund: the invitation said to wear your best ‘Boston Attire’ & invite others. Well, the Boston Attire apart was not a problem, the other half, inviting others’ was more of a challenge. When it comes to events, especially ones I want to go to, I tend to sometimes purchase tickets then ask others if they want to go, which at times leaves me going to events by myself; either that or I find out about these events a little too close to the date, then trying to find someone to join me doesn't always happen. When I’m in this situation, I have two options- not go to the event or go by myself and try to meet and socialize with people, easier said than done. One downfall about myself is that I tend to be a quiet person, I can’t go up to a group at a party and start chatting, I usually need someone to come up to me to get the conversation starting. That fear of going up to people/groups is what usually makes me go to these events alone, to hopefully be rid of this fear. The Boston Strong Event was one of those events that I found a few days before the date, so finding people to join me was a struggle, but since I wanted to go, mainly to help support The One Fund, I purchased a ticket and I was on my way. It was one of those beautiful May nights where going out in the city was a must, minus the fact it was a bit humid out which made my hair do a “That Girl” impersonation. 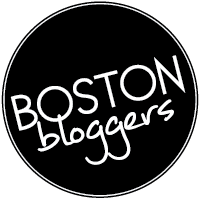 I had walked over to Cafeteria Boston on Newbury Street, feeling a little anxious, but ready to go in to have a good time and socialize with new people. As soon as I walked into the event I was happily greeted by one of the event’s hostesses, who informed me of the wine samples (sure!) and an area where you bid in a silent auction. The wine tasting was sponsored by South Wine Liquor which let you sample all sorts of delicious wines, including Moscato wines which included flavors of strawberry, peach & mango. The food contained the usual suspects for appetizer bites, chicken, scallops wrapped in bacon, and other finger foods as well. After snagging some food for myself, (well, I needed some after a quite a few free samples of wine! ), I strolled over to the silent auction table to see what there was to bid on. There were many great options to choose from; gift card to BCAE, 6 months’ worth of wine, oodles of Pilates/yoga/gym classes and so many more. I had my eye on the BCAE gift card & Pilates classes to bid on- *fingers crossed*. I've learned from past events that if you stand near the food tables, people tend to come up to you more to begin an conversation; which is what happened while trying to get the last piece of chicken. I had met Mittal who was the photographer for the event and her husband. Her husband and I kept an eye on our bids, but try as we might, we kept getting overbid. They were a great couple to meet and chat about the event, where we worked and how we kept getting outbid for our auctions. With the party winding down and out of money to bid on, it was time to depart for the evening. I had my two goals accomplished for the night: help support the OneFund & talk to new people, both of which were quite easy to do. I had said my good-byes to Mittal and the hostesses at the event and began to walk back to my car feeling great about having, once again, another fabulous evening in this wonderful city. Glad you came. It was nice meeting you! My first comment! Thank you very much as well! It was great meeting you and hope to see you at another event soon!